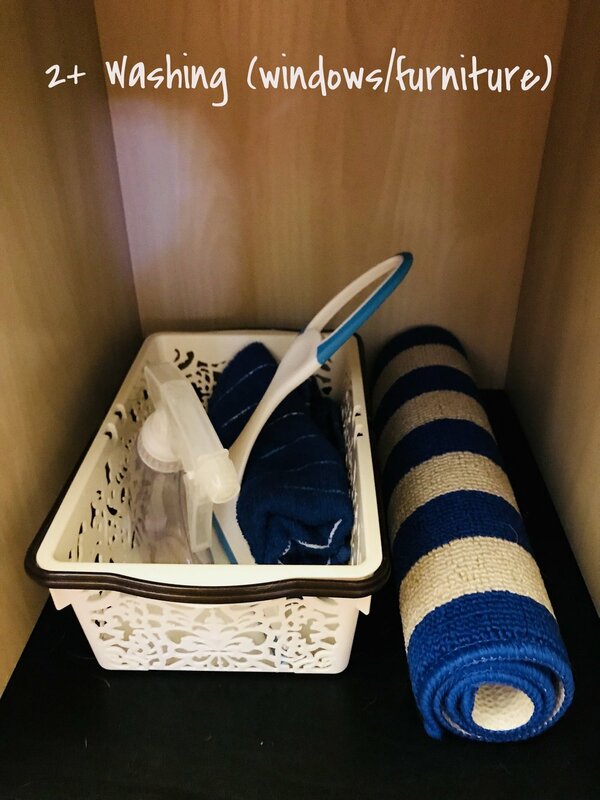 When trying to prepare my home for a new baby while attempting to maintain some semblance of normalcy for his 3 year old sister, the idea of 'shared space' kept coming up - how can I strike a balance between two very different developmental stages in the same space? For many parents, the result of this "shared space" is typically some version of the baby mouthing the 3 year old's favorite toy and both of them melting down - perfect fodder for sibling rivalry. Montessori is all about trying to understand what the child is developing (and getting out of their way!) while preparing an environment that will help them do it. This had me thinking. Instead of these developmental differences being the source of unruly parental headaches, what if we used the predictable developmental differences to curate a (mostly) harmonious shared space? Here are some tips to do just that. If you have two children in different developmental stages (like an infant and a preschooler), the best aid to shared space is to separate their stuff. There is far less rivalry if they aren't overlapping as much in their play spaces. 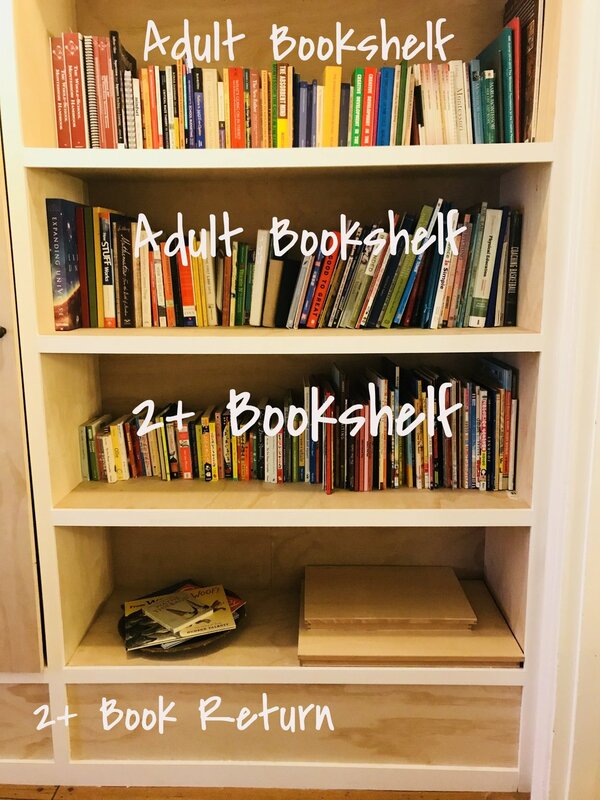 We often get caught up in having all the "kids" things in one area, but it can help a lot to just have the shelves separated. With developmentally accessible activities (see Tip #2! ), each child will be attracted and guided to the materials most interesting to them. In our home, we don't have a separate toy/play space so this is also shared space with us - the adults! When people come over, we just hang the ribbon mobiles to the side on a hook on the wall, remove the mat and pillow and voila! We have our living room back! Ever heard of the term "developmentally appropriate"? This is more or less what I mean here - that the materials we offer the child should be appropriate for their development - so no screens for babies and maybe pass on a mobile for a 7 year old. I like to use the term "developmentally accessible" because a toy or activity can be perfectly developmentally appropriate (like a mobile for an infant), but if it's hung halfway across the room, it might as well not be there because they can't see that far. By picking toys and materials that speak to each child's development, they will be naturally attracted to their space, thus easing some of the tensions. Get started with some ideas for developmentally accessible toys for infants in our Baby Essentials post here. One of the biggest developmental differences between the infant and their preschool counterpart is how much they can remember - remember where something is, remember why they went over here, etc. Initially, infants don't know that when something is hidden, its still there (called "object permanence"). But even when they figure this out (around 8-10 months), they still tend to be attracted to what is readily visible. By about 2.5-3, the child has much better grounding on this cognitive feat and make more "plans" for play than their infant counter-parts. Have the infant's toys on a low, open shelf and the older child's toys in a cabinet. 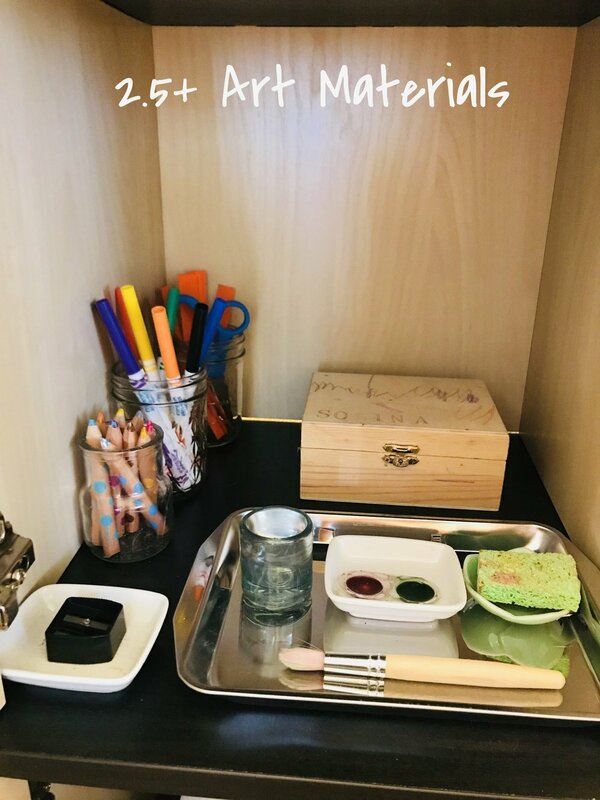 The infant isn't going to even know the older child's toys are an option and the older child will delight in opening the cabinet (you can even put a latch and lock on it and they will love to use a key!). Keeping the house in order often feels so hard to achieve, especially when you are parenting multiple young children (Tip #5 helps with this!) The things is, order is not just an approach to keeping a tidy home - its an incredibly important developmental stage for children. The toddler melting down because you put their shoes in the "wrong" place or the tantrum because they wanted something done "a certain way" are all examples of the developmental stage of order shining through. Why is this important in their development? Well, during the first three years, the child is forming the architecture of their brain - not just learning new things, but learning how to learn new things. When the brain can more easily understand all that it sees and is able to categorize it, the architecture is like a well-organized filing room - you need a memory or a piece of information? Go down Aisle 4, File Bin 8, Tab marked "circles". It makes it not only easier to remember, but easier to make connections between things, see relationships, and comprehend situations and concepts. The best way to help the brain do this is to make their environment really clear and easy to follow. Hence, creating and maintaining order in the child's space. So what can you do? Routines count too! Also called "temporal order" - how their time is ordered or structured. Routines helps the child predict and sequence their day. Its not only calming for the child, but helpful for their own self-directed learning. You may have heard this before, but when it comes to early childhood development and learning - less is SO much more. I can't tell you how many times parents have told me that when they have less - less options, less stuff, just... less - their children all of a sudden start to play with things they hadn't touched in months! It helps when the few things you have are developmentally accessible (Tip #2!) and organized in such a way that its easy to choose (Tip #4! ), but the basic premise is that we all have too much stuff. Its cluttered and overwhelming for the child. So what can we do? Purge: Go through your toys and materials and see if they meet the "developmentally accessible" criteria. Next, look over the toys and see if they are in good condition - the better condition they are in, the better the child will handle them. Then, determine what is out and what's worth keeping in storage. Store and Rotate: If you have more toys than shelf space, store some things and rotate them for renewed interest. Try to rotate "like" materials so there is a variety on the shelves - have 1-2 "building materials" (i.e. blocks, legos, trains, magntiles) out and store the others, then rotate. Tell your family and friends: Books, clothes or adventures are a great alternative for "stuff". You can gently guide them to these alternatives over holidays or birthdays. When going through your toys, some basic thoughts to keep in mind is if the child isn't used to choosing things themselves (they look to you for entertainment, to make their materials accessible, or to choose for them), they will need some time to practice making choices. This means that they will also have to deal with the consequences of their choices - if they choose to take our all of the blocks, they will have a lot of clean up to do. You can help them begin to make better choices by offering less (try 10 blocks instead of the whole set) so they are set up for success in being able to put it away. Once they are able to do that, add more blocks. If they still aren't able to, only put out 5. By working with the child's actual capacities and toggling between how much is too much (and how little is too little), we can get a lot closer to the "just right" that solicits concentration, personal responsibility, and self-directed learning. More often than not, the "just right" is just...less.